IT Support | LG Networks, Inc. Managed Services allows you to focus on your core business without worrying about the day to day operations of keeping your business IT working properly. We at LG Networks accomplish this through proactive management, securing your information technology networks and monitoring your systems and applications 24×7. Because of our investments in best in class tools we apply the principals of remote management, automation, centralization, and monitoring, to your environment and we are able to effectively and efficiently be a catalyst for optimizing your business. LG Networks offers scalable, flat-fee pricing for Managed Services that gives you the clarity on your yearly IT budget. We also act as a virtual CIO for your IT investments and provide updates on necessary or recommended capital or operational investments so your budget stays intact. With LG Networks you can be assured of having accurate budget forecasting. Feel free to give us a call to get a quote for your business. 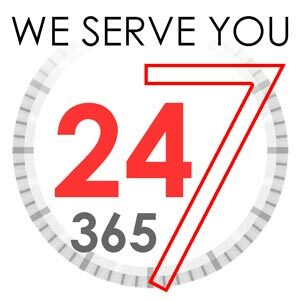 We’re available 24/7 to chat with you regarding our services at (972) 528-6546.